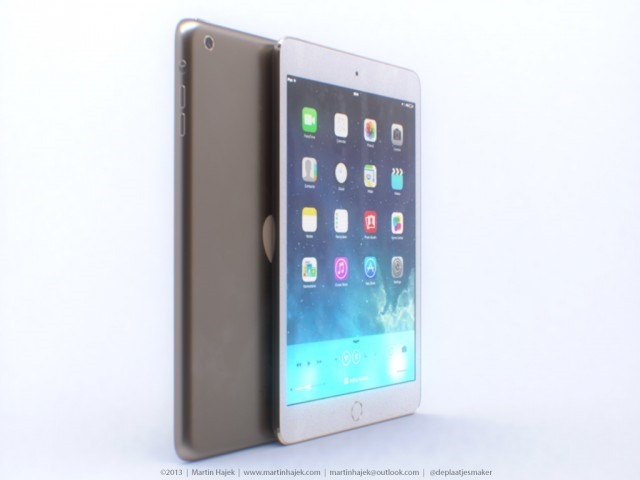 The current consensus – which may well change numerous times between now and October 22 – is that we’ll see a new iPad 5th gen that will borrow heavily from the iPad mini, a new iPad mini with Retina display (but possibly in very short supply initially), and Apple’s new 64-bit supporting chip A7 chip in one or both new iPad lines. 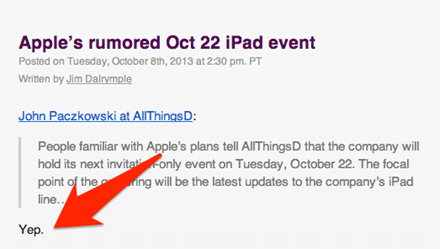 I was hoping we might see this event next week, but I can settle for October 22. Founder and Editor in Chief of iPad Insight. Husband, father to a lovely daughter, Commander of the Armies of the North, dog lover (especially Labs), Austinite, former Londoner, IT consultant, huge sports nut, iPad and mobile tech blogger, mobile apps junkie.